Sedex is a Standard used for Ethical Trade Audits. SEDEX is a non-profit organization which works by the secure online data base for the improvement of ethical and responsible business practices. Sedex members can share and manage information related to Labour Standards, Health & Safety, The Environment and Business Ethics. Sedex members are committed for enhancement. The main role of Sedex is to share and manage supply-chain information in an effective manner, aiming at Continuous improvement. A SMETA AUDIT-SEDEX- A Sedex audit comprised of Two-Pillar and Four-Pillar Audit. SMETA (Sedex Members Ethical Trade Audit) is the Audit methodology which is created by the Sedex members to provide a protocol which is shared with a feel of self-assurance. SMETA is comprised of Ethical Trade Initiative Base Code and the local laws as its Standards for monitoring the audit methodology. 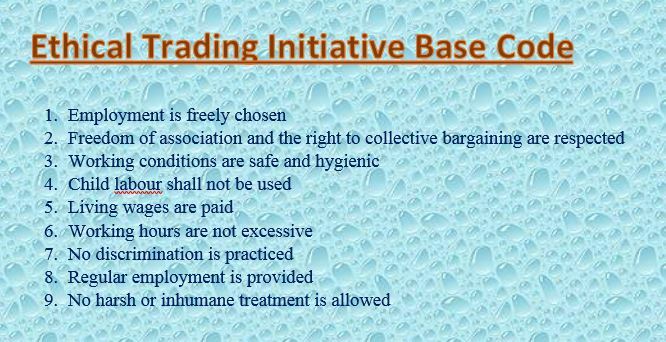 SMETA can use other codes which are based on conventions of ILO (International Labour Organization). SMETA is not a type of new methodology, in fact it is a new audit process which compile good practices in an ethical way. Audit report format of SMETA is easily understandable for all.